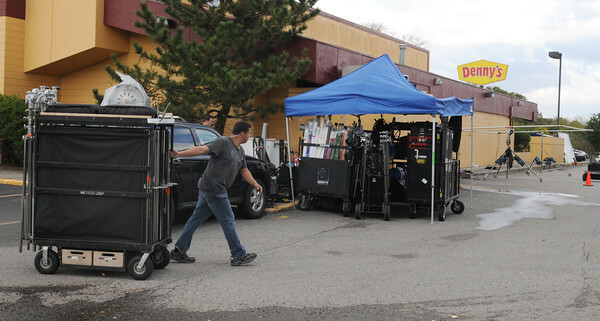 The movie set at Denny's restaurant in Danvers. A movie with John Travolta was filmed there on Monday afternoon. Photo by Ken Yuszkus, The Salem News, Monday, October 07, 2013.